Three weeks from release, independent trackers have released the first round of projections for “Avengers: Infinity War,” with earliest estimates set at $175-200 million. Considering the performance of “Black Panther,” which opened to $201 million in its three-day launch without the inclusion of Marvel’s most popular superheroes like Iron Man and Captain America, this is considered to be a very conservative first estimate for “Avengers” that is likely to go up as the film’s April 27 release draws nearer. The film was originally slated for a U.S. release on May 4, but was moved up a week to give the film a day-and-date worldwide release to reduce spoilers. 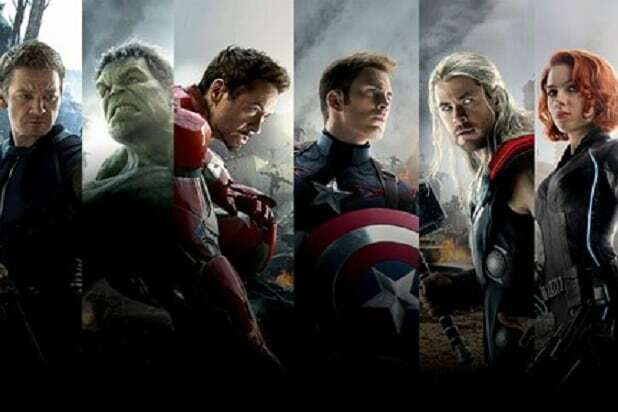 Featuring all the heroes from the Marvel Cinematic Universe as they do their long-awaited battle with the evil Thanos, “Avengers: Infinity War” is widely expected to become the sixth film to earn an opening of over $200 million. Less certain, though certainly possible, is whether it can break the record for the biggest opening weekend in box office history, held by “Star Wars: The Force Awakens” with $248 million in 2015. The other films in the $200 million club are “Black Panther,” “Star Wars: The Last Jedi” ($220 million), “Jurassic World” ($208 million), and the first “Avengers” ($207 million). The success of “Black Panther” will provide a huge lead-in for “Infinity War,” as several of the characters from Ryan Coogler’s hit film will appear while Black Panther’s kingdom of Wakanda will serve as the setting for the film’s climax, which has been featured prominently in marketing. “Black Panther” became one of the top ten highest grossing films of all-time this week (unadjusted for inflation), passing “Frozen” with $1.28 billion worldwide. It is the only film in the top ten to take more than half of its global revenue from domestic receipts, with a North American tally of $658 million. “Avengers: Infinity War” is directed by Anthony and Joe Russo, directors of the last two “Captain America” films, from a screenplay by longtime Marvel Studios writers Christopher Markus and Stephen McFeely. 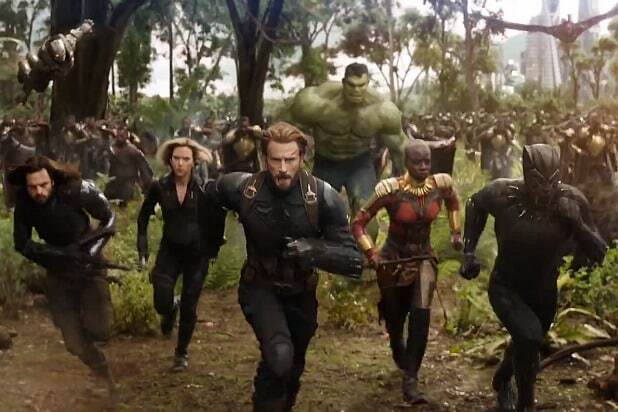 The cast includes Robert Downey Jr., Chris Hemsworth, Mark Ruffalo, Chris Evans, Scarlett Johansson, Benedict Cumberbatch, Don Cheadle, Tom Holland, Chadwick Boseman, Paul Bettany, Elizabeth Olsen, Anthony Mackie, Sebastian Stan, Danai Gurira, Letitia Wright, Dave Bautista, Zoe Saldana, Bradley Cooper,Josh Brolin, and Chris Pratt.